Office of The Prime Minister - Republic of Trinidad and Tobago | Anti-corruption Investigation Bureau (ACIB) transferred from the Office of the Attorney General to the Commissioner of Police. Effective immediately the Commissioner of Police will have full and exclusive control over all public corruption investigations. This after the Cabinet decided today to transfer the Anti-corruption Investigation Bureau (ACIB) from the Office of the Attorney General to the Police. 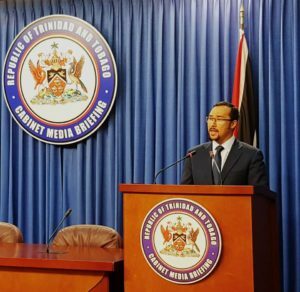 Minister of National Security, Communications and Minister in the Office of the Prime Minister, the Honourable Stuart Young said the move was made to prevent persons under investigation from alleging political interference. He said this transfer will remove any cloud of doubt that may hang over the work and independence of the ACIB.